(World-Grain) – China’s demand for oilseed increases as the African swine fever (ASF) outbreak bolsters demand for chicken, beef and aquaculture production as unfounded health fears and consumer desire to diversify diet, according to a March 22 Global Agricultural Information Network (GAIN) report from the Foreign Agricultural Service of the U.S. Department of Agriculture (USDA). 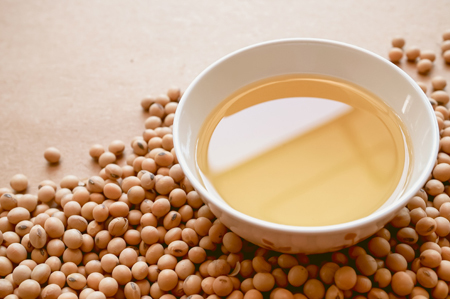 China’s 2019-20 market year soybean production is 16.4 million tonnes, a 4% increase from the previous year. The USDA said estimated soybean production for market year 2018-19 was higher than the previous marketing year due to changes in government grain subsidies, which led to lower corn profits in market year 2017-18, encouraging farmers to plant more soybeans. According to the China National Grains and Oilseeds Information Center (CNGOIC), as of the end of December 2018, farmers still held about 70% of their production, compared to 50% to 60% in recent years. Even though some of the oilseed import decrease is attributed to the ASF outbreak another issue impacting imports is the U.S.-China trade talks. The USDA forecasts China’s soybean imports for market year 2019-20 to reach 91.5 million tonnes, an increase from the estimated 88 million tonnes in market year 2018-19 but lower than the market year 2017-18 imports of 94.1 million tonnes. “The U.S.-China trade friction also dampened imports, as China imposed an additional 25% import tariff on U.S. soybeans and importers demonstrated their concerns about China’s potential application of non-tariff barriers on U.S. soybeans,” the USDA said. This caused importers to stop purchases of U.S. soybeans in July 2018.